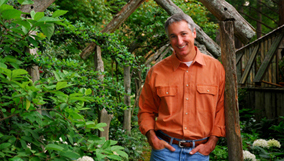 Get gardening tips and landscape design ideas from these programs you can find on WMHT or WMHT Create TV. Click here to find WMHT on your television. Click here to browse our schedules. Travel to luscious gardens around the nation. Compelling and inspirational people making a positive impact on the planet through gardening and shares DIY information that we can all use at home. Create garden rooms used for separate functions such as dining, entertaining, relaxing or playing. The latest gardening trends that will get their gardens growing.